The best way to put your Wifi adapter to monitor mode is through airmon-ng but with airmon-ng package you can only create a single monitor mode. In this article, you’ll learn how to create multiple monitor modes upto 10 on a single wireless interface (usually wlan0) with different name/mac-address of each (mon1, mon2, mon3 and so on). In Wireless Networks, you can put your wireless card in either Promiscuous Mode or in Monitor Mode but both are different modes. In Monitor mode: Sniffing the packets in the air without connecting (associating) with any access point. 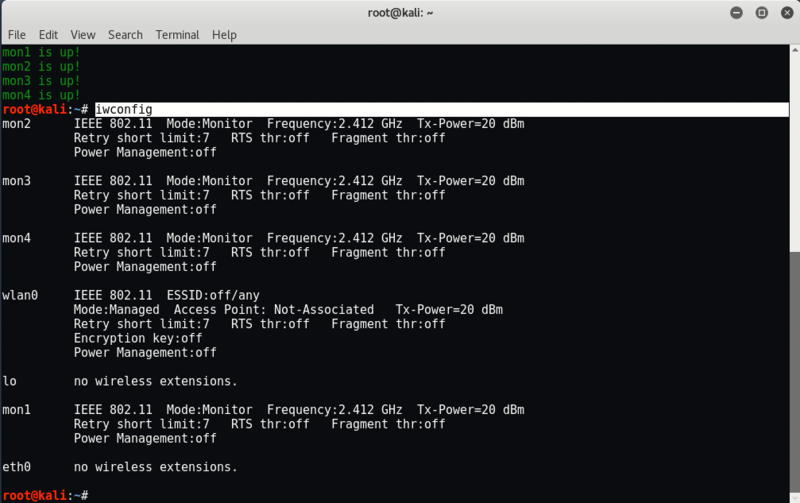 In Promiscuous mode: Sniffing the packets after connecting to an access point. Why you need multiple monitor modes ? When you conducted wireless attacks on any target, you might need several monitor modes, with some reasons (like for DOS/DDOS) and purposes, whether just to identify certain monitor mode handles specific target or to make multiple attacks by that. You may notice the uselessness if you are attacking small target. 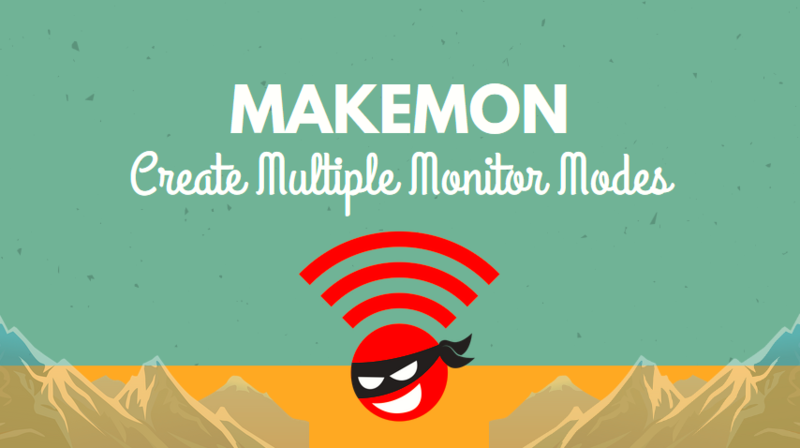 Makemon is the only bash script through which you can create multiple monitor modes on a single wireless interface. This tool is created by Yokai Seishinkage. Before to run Makemon, type “iwconfig” to check whether your wireless interface is UP or not! Now give root/full permissions to makemon script by typing “chmod +x /usr/bin/makemon” and then run “makemon” directly from your terminal. As we already got the name of the wireless interface from iwconfig command, just type “wlan0” and press enter to continue. Type 2 if you want to create multiple monitor interfaces. Now makemon will asks how many VNIC (Virtual NIC) do you want (upto 10), type 4 to continue if you want to create 4 monitor interfaces. Now you can easily check all the interfaces by typing again “iwconfig” command in your terminal which shows all monitor interfaces (mon1, mon2, mon3 and mon4). In the same way, you can also delete all the monitor interfaces from the main menu by typing 3. Makemon has a limited capability to make a clean reset, you need to restart your network manager to make your networking works well which you can easily do by typing “service network-manager restart“.